In 7 Great UX Workshops we described seven workshops for new and seasoned UX practitioners. The 7 UX workshop activities described in this post can be used by UX instructors or in-house UX teams to re-visit the basics and identify areas for improvement. A heuristic evaluation involves reviewing a site or app to assess its adherence to recognized industry best practices for usability. This exercise is an abbreviated heuristic evaluation and serves to encourage students to think carefully about user needs and basic design principles. For a list of specific heuristics for each category (content, navigation, etc.) refer to an established source such as Nielsen’s well-known list 10 Usability Heuristics for User Interface Design. News and e-commerce sites tend to work well for these types of UX workshop activities because most people are familiar with such sites. When students complete the exercise, devote 30 minutes to discussion. UX workshop activities focused on research are important and should include identifying the best research method for a particular project, conducting stakeholder interviews, and planning and then conducting the research. For this reason, at UI UX Training we offer workshops devoted exclusively to research. 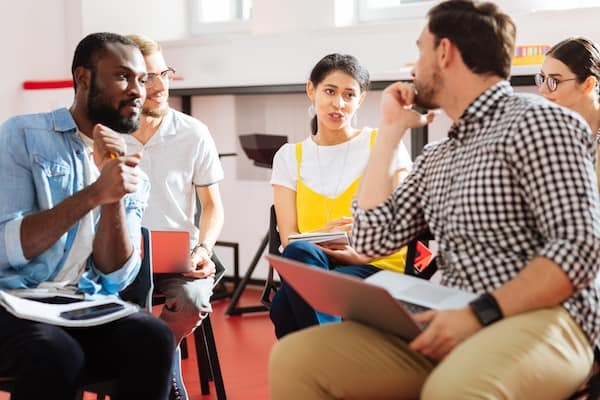 For a one- or two-day course covering evaluation, research, and design, it’s wise to focus on analysis to leave sufficient time for the other UX workshop activities described in this post. Compose a short list of research results and present them to the class. Explain that they work for a medical device manufacturer whose product lines include blood glucose meters. 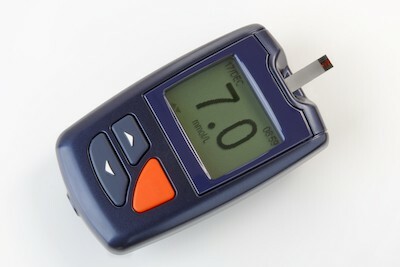 Diabetics use these meters to take regular blood sugar readings. Recently, customers have complained that the meter is hard to use and does not offer all of the features they need. Users’ ages range from 20 to 80 but the median age is 60. One third of users travel frequently for work. The display is too small. “It’s very hard to read,” lamented one user. The device is too big. The meter is hard to read in bright sunlight. Users can’t tell when they are out of test strips. The meter does not store the reading. Patients must write it down or record it on their phone. “This is very inconvenient!” exclaimed one reader. Analyze and prioritize these findings. Discuss and decide how to handling possibly contradictory findings such as the observation that the display is too small while the overall device is too large. Make a list of characteristics for use in the following person activity. Devote 15 to 20 minutes to discussion to help students identify what about the exercise was challenging and whether they think the quality of the glucose meter would benefit from additional user research. Keep students in the same groups and ask them to create a persona based on the analysis in activity 2. Below is one possible outcome for a persona. As explained in 5 UX Methods all Practitioners Should Master a scenario describes the reasons the target user group is likely to use a device or mobile app. Scenarios set the stage by describing the high-level task a user needs to complete or a problem she needs to solve. Pam is a diabetic and an executive who travels internationally to visit various corporate offices. She needs a sturdy, accurate blood glucose meter with an intuitive user interface that allows her to store the reading on the device. Devote 15 to 20 minutes to discussion. In our experience at UI UX Training, students quickly grasp the value of scenarios. They also enjoy discussion about how realistic a particular scenario seems. Would users understand the high-level task at hand? Which specific tasks would be associated with the scenario? These lively discussions set the stage for the more challenging task flow activity. As explained in 5 UX Methods all Practitioners Should Master a task flow refers to the specific steps a user takes to finish a task or solve a problem. Creating a task flow is the prefect hands-on activity because it requires students to literally put pen to paper. A UI UX Training, we recommend beginning with a short task flow exercise based on something tangible real world such as the steps required to start a car and pull out of a parking spot on the street. This activity sounds straightforward, but when you remind students that the target audience has never driven a car, the importance of accounting for each step becomes apparent. For example, a new driver might start the ignition, shift the automatic transmission into “Drive” and press the accelerator. Yet, the car does not move because he forgot to release the parking brake. Divide students into groups of three or four and give them 20 to 30 minutes to draw the task flow focused on taking a blood glucose reading on a long flight. With the starting-car-exercise exercise firmly embedded in their memory, students will think more carefully about a second, more complex task flow. Below is one possible outcome for the blood glucose task flow. Discuss this exercise for 15 minutes and ask students to identify specific challenges such as how easy or difficult it was to divide the flow into distinct yet connected steps. Forms are notoriously difficult to design because, at first glance, they seem straightforward. Slap a few labels and text fields on a page, done. As anyone who has designed forms can attest however, form deign is not easy. Forms guru Caroline Jarrett has referred to a form as a conversation with the user. Evaluating an existing form is an effective way to learn more about this “conversation” and micro-interactions such as data input. Divide students into groups of three or four. This time, however, assign the same task to all groups. 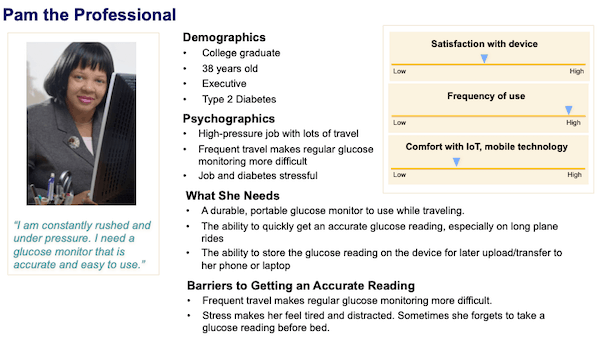 Recall the scenario above about Pam the diabetic who needs to take a glucose reading on a long flight. Before she can take this reading, she must configure the device. First, however, she must fill out a profile on the vendor’s web site. Tell students that Pam has successfully filled out her contact information and must now complete a form with a brief health history including the glucose levels for her past three blood sugar readings. Does it appear on a single page? Or, should the form be divided over two or more Web pages? If the form includes technical terms that Pam does not understand, what is the best way to explain those terms? Give students 30 to 40 minutes to complete this exercise, and devote 20 minutes to discussion. While it should be obvious that messages are content, confusing error, warning, and information messages abound. This confusion is especially troubling in error messages because users must normally address the error before proceeding with the current task. For example, what should users do when the following error message appears? How will it show where the error has occurred? How will Marcella now how to correct the erroneous data entry? Can students identify visual cues that will draw Marcella’s intention to the field(s) where the error occurred? Give students 20 minutes to complete this exercise and devote ten minutes to discussion. After completing this UX workshop activity, students will have a better understanding of the complexity involved in designing even a single error message. Note: Exercises 6 and 7 can be combined. If the majority of students have never designed a form, dividing these exercises with a short break in between will give students a chance to absorb these critical design concepts.